Well, it is all over now! Great British Bake Off has come to an end and Candice has been crowned the deserved winner. It feels very final this time, as the show leaves the BBC and limps its way to Channel Four, minus our fabulous hosts Mel and Sue and minus Mary. I cannot see how it will survive such losses and I think Love Productions has seriously under-estimated how loyal we as a nation still feel towards the BBC, our nation’s first broadcaster. We shall see! I loved this week’s technical challenge of making a filled meringue crown and I have designed something that, if it works, will rival even Candice’s creation for artistic beauty. However when I realised that it would take nearly a whole day of baking, I decided that no way did I have the time or energy for this just now. I will try to find some suitable occasion in the future, when I have lots of energy and lots of spare time! 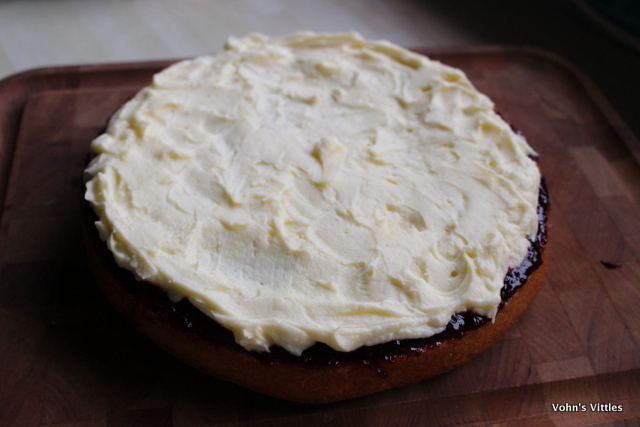 In the meantime, a quick and simple bake was desirable, so the signature bake of a Victoria Sponge was ideal. 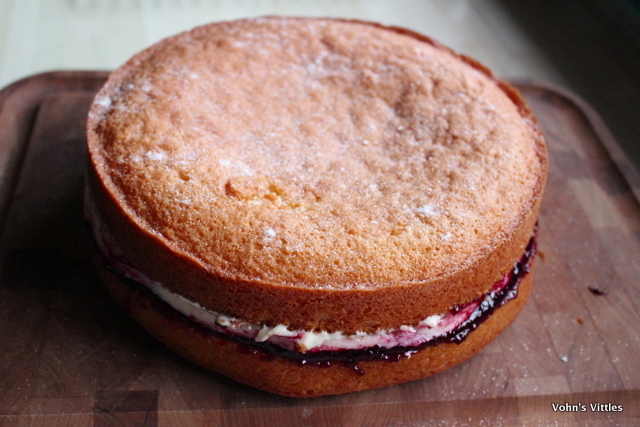 I’m not a fan of sponge in general and tend to find Victoria Sponge a tad boring, so have never made it before. However, the whole point of me taking on Mummy Mishaps Great Blogger Bake Off blogging challenge was to try new things and expand my baking knowledge and experience. 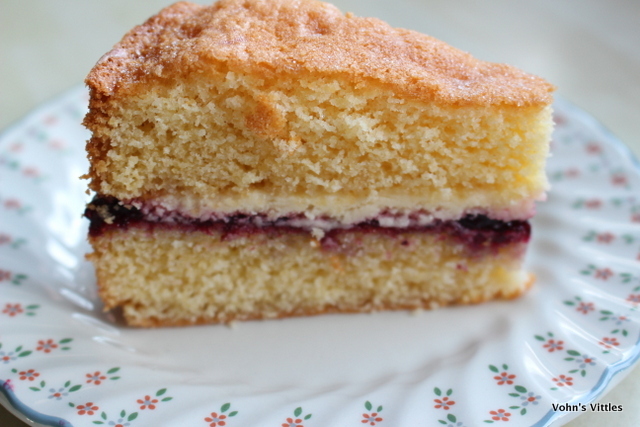 So Victoria Sponge it is but I was low on energy, so keen to find the quickest way to make this bake! 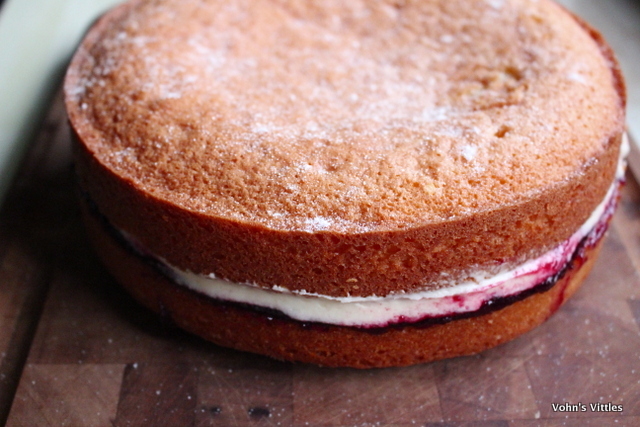 I found several short-cuts that made it much quicker than my usual sponge cakes! 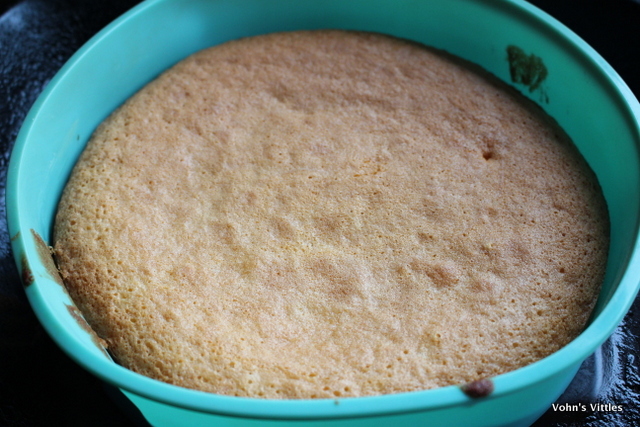 My mother taught me the creaming method of sponge-baking so I had never tried the all-in-one method before, being led to believe the resulting cake wasn’t so light. Jane mentioned in the final programme that Mary prefers the all-in-one method for her Victoria Sponge, so I was keen to try it. However Andrew was the only one to use the creaming method and he won the Victoria Sponge technical challenge, so I wasn’t sure how it would work out. It turns out the all-in-one method is super-easy and quick and I will definitely be using it again. 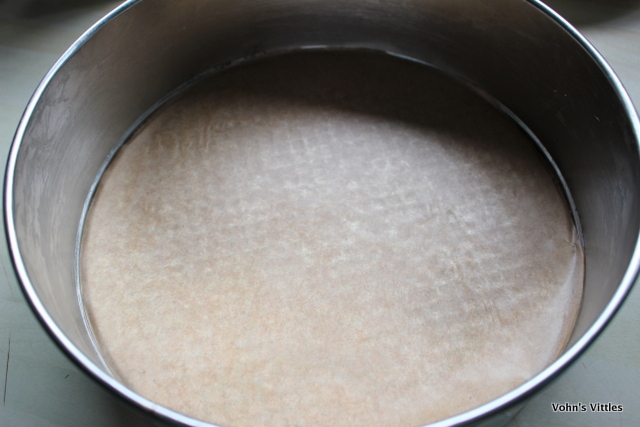 First turn the oven on to 180ºC to heat up, then butter and line two 20cm tins. I didn’t have two the same size, so had to go for two similar in size but one was tin and one silicone. An interesting experiment to see if this made a difference to the bake, as I know some prefer one or t’other – it really didn’t make any perceivable difference! You only need to line the base circle, not the sides, so the sponges come out easily from the base without sticking. 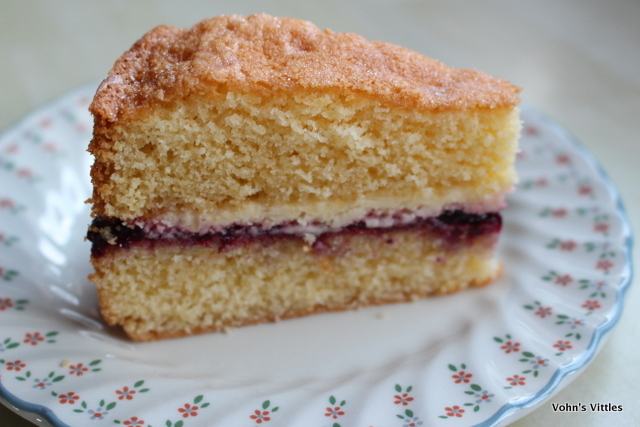 Victoria Sponge is an easy recipe to remember as it is equal parts egg, caster sugar, butter and self-raising flour. You weigh the eggs whole, using 4 large or 5 medium eggs. My 5 medium eggs weighed 291g, so that is the weight I needed to weigh out of the other three ingredients – your target weight will be different. 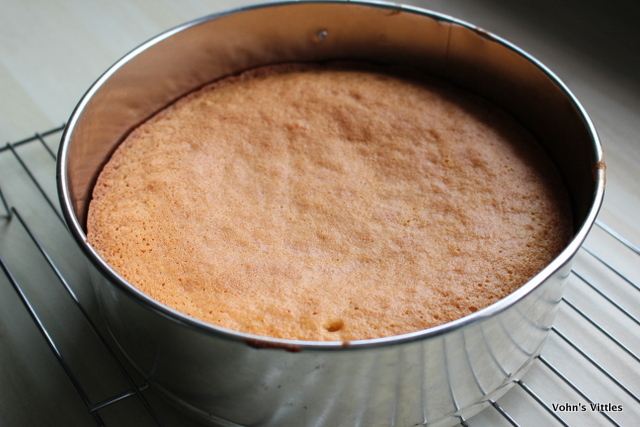 Then also add 2 tsp baking powder to help the cakes rise. You literally just place all the ingredients at once in your mixing bowl & mix until just combined. It is really quick and easy and I only needed to scrape the bowl down once. This method takes me about a quarter of the time as the creaming method does! 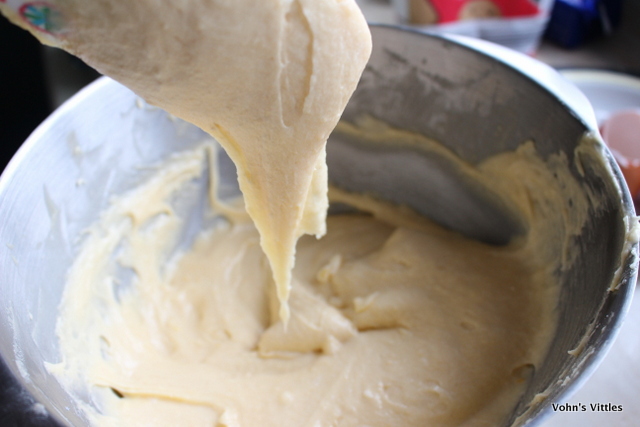 The mixture should be a soft dropping consistency, where it coats the spoon but will drop off. If it is too thick, add a little milk (do this one teaspoon at a time though, as it is amazing what a difference it makes). 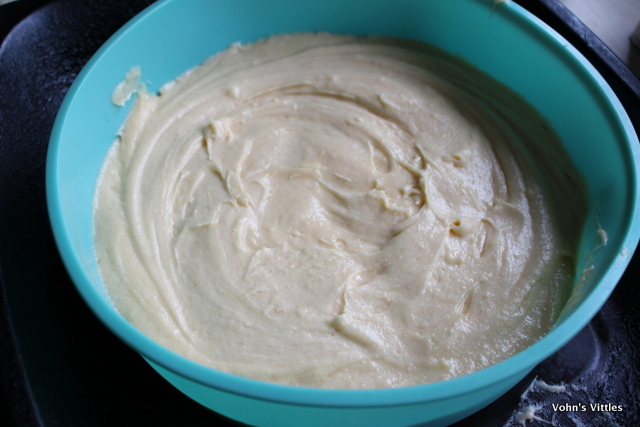 Spoon the mixture into your prepared tins and smooth the top level. Bake for 25 minutes until golden brown and starting to come away from the sides of the pan. I opened my oven door too early to check them and they collapsed slightly in the middle – FAIL! Leave to cool for 5 minutes, then remove cakes from their tins and leave to cool on a wire rack. 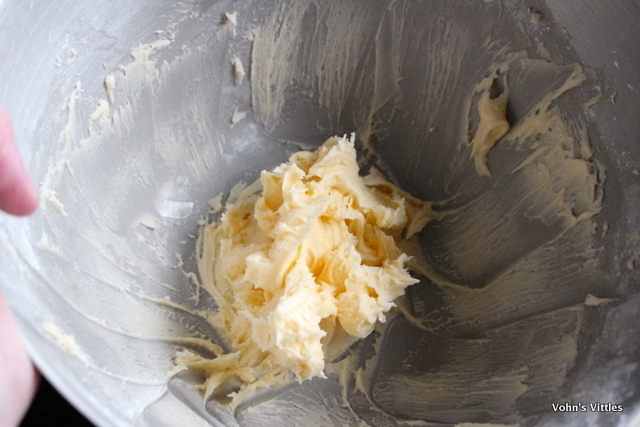 Meanwhile make the buttercream by beating together 100g soft butter and 200g icing sugar. Choose which cake has the nicest top and place the other one upside down on your serving plate/board. Spread it generously with about 180g jam. 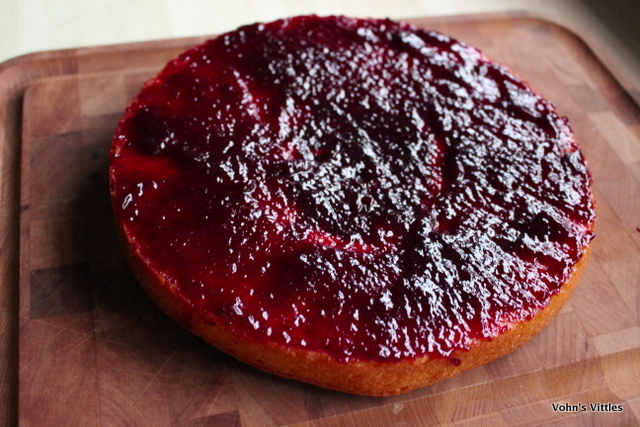 I used homemade blackberry jam – YUM! Next you are supposed to pipe on the buttercream. However I am experimenting with trying to make this a quick and easy bake, so I just spoon it on and spread to the sides. Place the other sponge on top and press down. 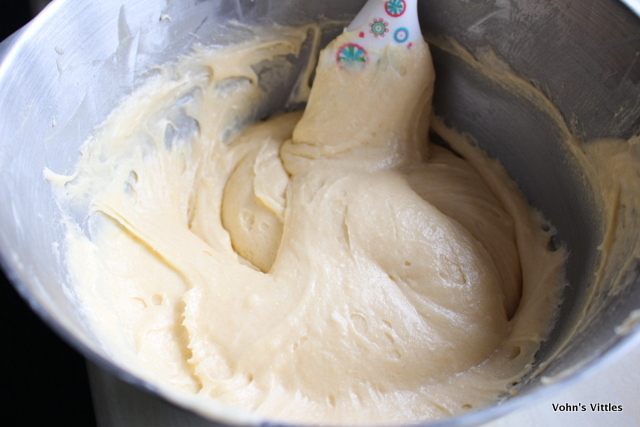 Then run your finger around the side to smooth the buttercream. It doesn’t look as pretty as piping but it is good enough for a home bake for my family. Sprinkle the top with caster sugar. My sunken centre becomes even more obvious once the layering is done, even though I tried to build it up a bit in the middle with extra buttercream. I would certainly have had a steely stare from both Paul and Mary! Eek! However, I thought the crumb looked pretty even and I was quite pleased with it. The family verdict was that it was tasty and must be made again. In fact Mr Vohn and Miss A had quite a fight over the last piece! I left them to it, as Victoria Sponge is still not really my thing, although I did surprise myself by how much I enjoyed my slice. This is a quick and easy recipe that I will definitely be making again.